Good news to all Daddies and Mommies, girls and boys, the long wait is finally here. DreamWorld Indoor Playland will start its operation tomorrow, 25th May 2017 at Starling, Damansara Uptown and IOI City Mall, Putrajaya on this Saturday, 27th May, 2017. Block the dates now and welcome to the DreamWorld. 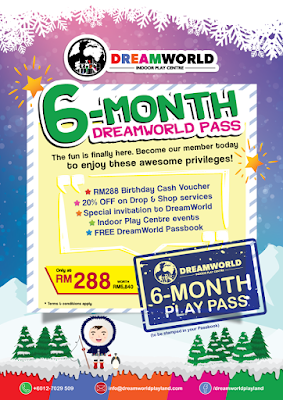 Be there for the coolest play time ever and enjoy their 3 days soft opening promotion. With every ticket purchase, you will get another ticket for FREE which to be utilise on that day itself. 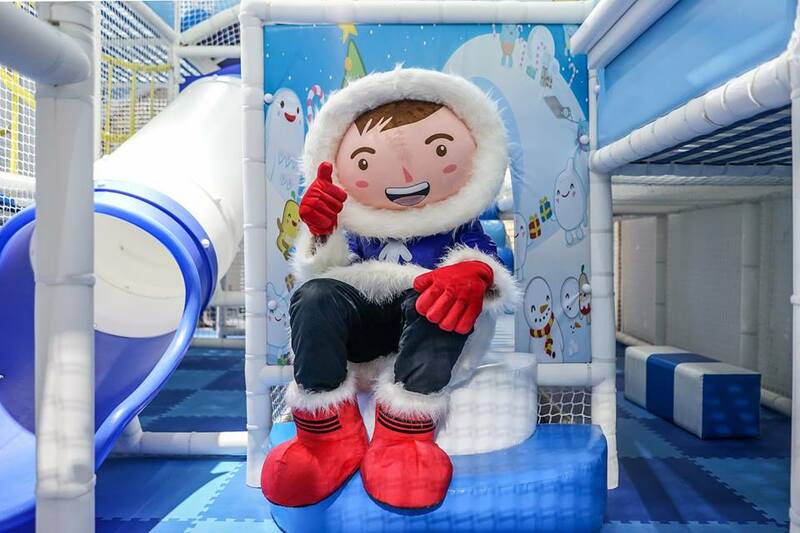 DreamWorld Playland is incorporated to bring indoor play to toddlers and children up to the age of 12 in a fun, healthy and safe environment. It is an adult-accompanied space where our children can learn through play, exploration, seeing and thinking. The playland combines education and entertainment for the development our a child's motor, social and interaction skills. The size of the DreamWorld Indoor Playland is around 6,000 square feet and could accommodate a total of 120 kids inside the playland and the party room. 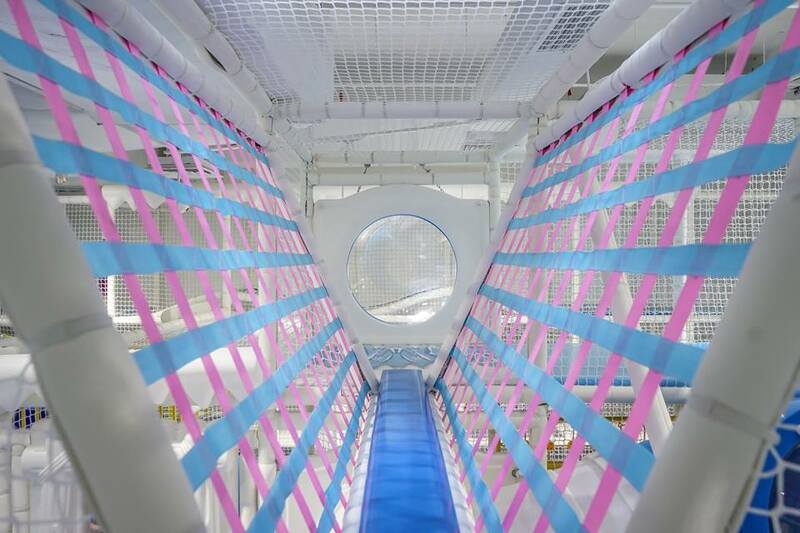 Enjoyed climbing through the tunnel, going down through the slides, walking up the stairs and lots of obstacles and challenges that our children need to go through. With the snow theme, the playland will be a dream place where every child wanted to play. 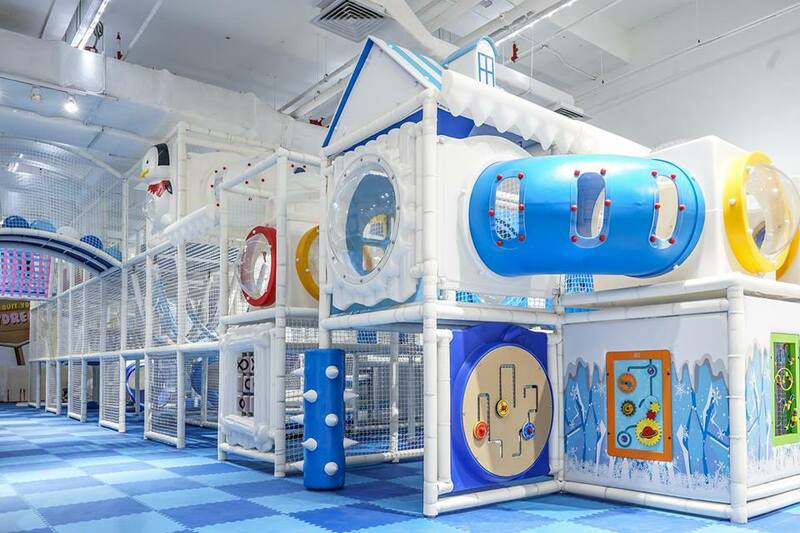 The admission rate for unlimited play at Starling is price at RM48 on Weekdays and RM58 on Weekend. For IOI City Mall, the rate will be RM45 on Weekdays and RM55 on Weekend. 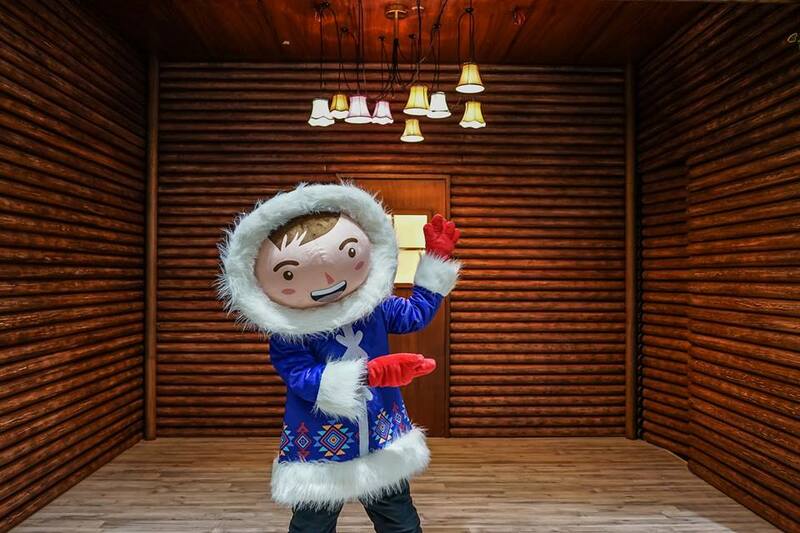 Every accompany adult will go in for free with every one child ticket purchase. 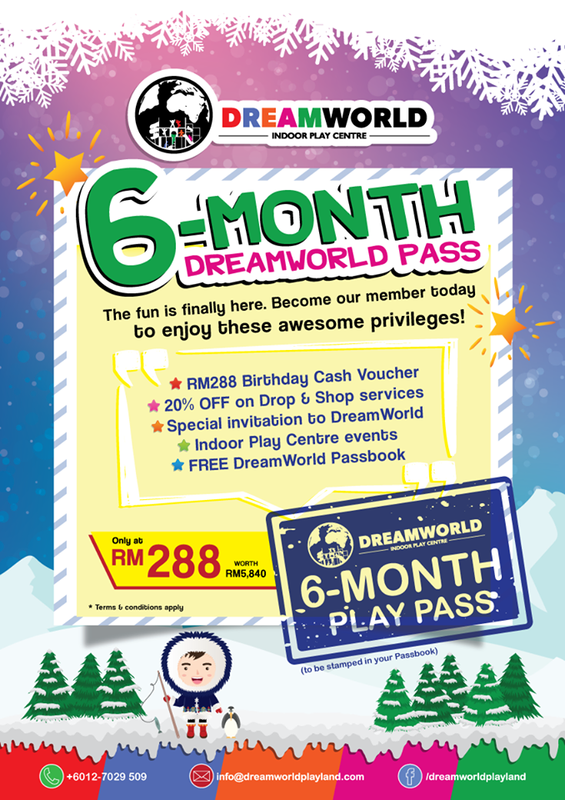 Additional adult will have to pay RM5. 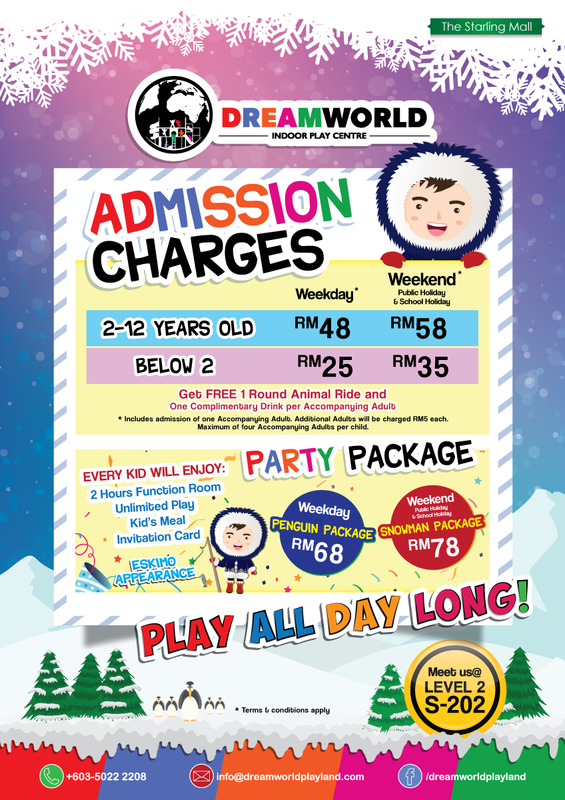 DreamWorld Indoor Playland is located at S-202, The Starling Mall, No. 6, Jalan SS 21/37, Damansara Uptown, 47400 Petaling Jaya, Selangor Darul Ehsan. You can contact Yoong Fui at 012-7219509 for party reservation and for more details. Or you can hop to IOI City Mall at L2-16, Level 2, IOI City Mall, Lebuh IRC, iOi Resort City, 62502 Putrajaya, Malaysia and call Hazwan at 012-7029509. Freeze your date now and see all of you tomorrow at the Starling Mall and this Saturday at IOI City Mall to enjoy their 3 days Buy 1 Free 1 promotion. Don't miss this great deal and enjoy the Snowmuch fun with your little ones. DreamWorld playland got animal rides too where 1 adult and 1 child can sit together. At DreamWorld, you can find a tiger, a panda, an owl, a dog, a lion many more. Just pay RM10 for a 5-minutes ride. Mommy Jane ride it too with my youngest angel, WJ. It was indeed fun and interesting as we ride the animal to go around the mall with music on. Can't wait to visit this play land my little would love it. Jia Shin, I'm sure she will love this place. Enjoy playing with her. Who doesn't love dreamworld ? soon, I'll be there ! Windz, they will thanks you for this as kids just love this place. Wahh. The theme looks like in ice. It is cold here? Zayani, it is not very cold. Just like any other playland. Ivy, they will sure love this place. Lots of challenges and obstacles for them to go through. Sharon, DreamWorld located next to Popular. Children will feel the excitement seeing the playland.